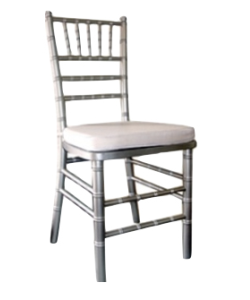 Silver Tiffany Chairs Manufacturers South Africa. 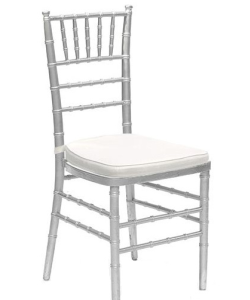 Buy Silver Tiffany Chairs For Sale, Party Chairs, Wedding chairs, Event Chairs & Function chairs. Call 031 823 5526. The business is equipped with team of Reach & Development skill to design and develop new products and efficiently managed company, Tiffany chairs has established itself as one of the Top Market Leader in the Manufactures, Supplier & wholesaler and retailer. Apart from being used at residence our tables & chairs can be used for Function, Wedding, Party, Event , exhibition, commercial rooms, guidance centers, restaurant, cafeteria, garden and learning environments. Available in variety of attractive designs and colors, our range of plastic chairs and tables are surprisingly economical. 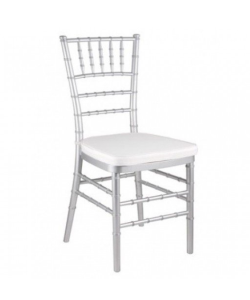 Silver Tiffany chairs supply Plastic Chairs, Tiffany Chairs, Plastic Folding Tables, Round Tables, Steel folding Tables, Tablecloths, Chair Covers to countries like South Africa, Zambia, Zimbabwe, Angola, Swaziland, Namibia, Nigeria, Lesotho, Mozambique, Kenya and Botswana. Tiffany chairs is a manufacturers, suppliers, Wholesaler and Retailer of Tiffany Chairs, Gold Tiffany chairs, Silver Tiffany chairs, Black Tiffany chairs, Clear Tiffany chairs, Plastic Folding Tables, Round Tables, Steel folding Tables, Tablecloths & Chair Covers. Boss Plastics supply Tiffany Chairs to Cape Town, Durban, Johannesburg, Port Elizabeth, Soweto, Pietermaritzburg, KwaZulu-Natal, Polokwane, Limpopo, Kimberley, Northern Cape, Nelspruit, Mpumalanga, Bloemfontein, Free State, Port Elizabeth, Eastern Cape, Pretoria, Gauteng, Durban, KwaZulu-Natal, Johannesburg, Gauteng and to countries like South Africa, Zambia, Zimbabwe, Angola, Swaziland, Namibia, Nigeria, Lesotho, Mozambique, Kenya and Botswana.